DESCRIPTION Well laid out 1280 sq. ft. Bungalow located in Westview. This home is only a couple of years old, vaulted ceilings, 3 bedrooms with an Master Bedroom, walk in closet and a en-suite. Laundry is located on the main floor having top of the line washer and dryer. Very nice kitchen with up grade countertops, appealing modern cabinetry and appliances including a Microwave oven hood-fan and a kitchen island as well as a pantry. Tile flooring, carpet in the bedrooms and engineered hard wood flooring in the living room. Downstairs is pure and untouched making it easy to develop for your needs, very large windows with a lot of light! Quality builder: Quality home! Immediate occupancy!! 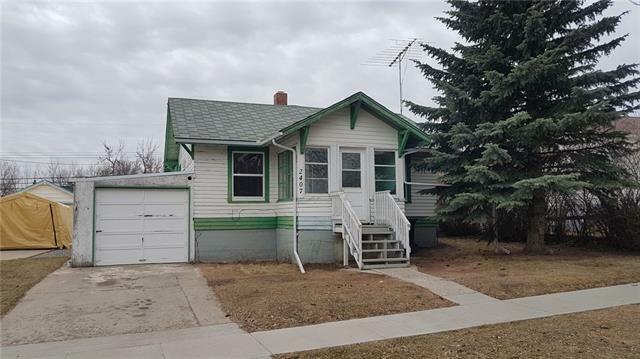 Home for sale at 2008 30 Av Nanton, Alberts T0L 1R0. Description: The home at 2008 30 Av Nanton, Alberta T0L 1R0 with the MLS® Number C4219197 is currently listed at $299,900.